Asbestos — the toxic mineral that causes mesothelioma and other diseases — can turn up just about anywhere, even in your drink. It is now known that chrysotile and amphibole asbestos fibers have been widely used in the production of alcohol. 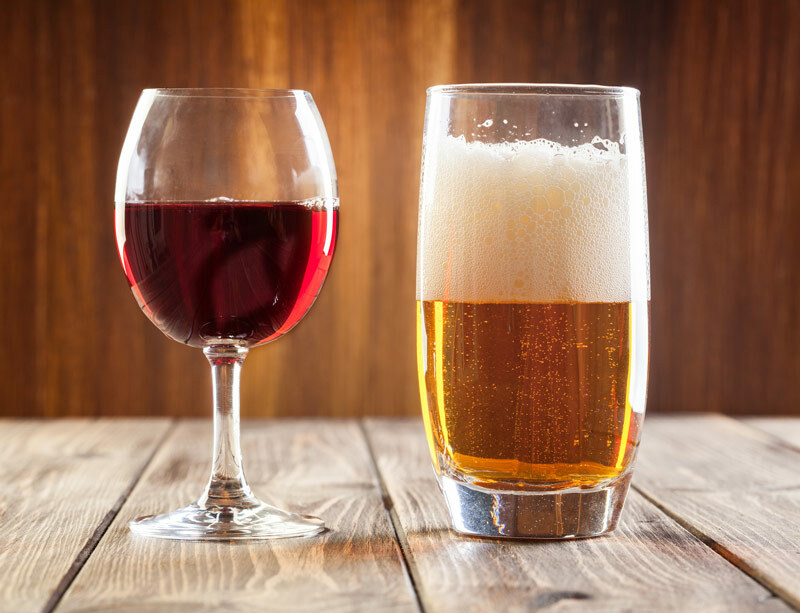 The news is certainly disturbing, but before you pour your favorite drink down the drain, here are some interesting facts about the production of beer and wine, their methods of filtration and what you can do to protect yourself from exposure to asbestos. Although it is impossible to pinpoint exactly when the famous brown ale came into existence, it dates back thousands of years. First documented by the Egyptians around 5,000 B.C., it is known to be the oldest recorded recipe in the world. Despite its long history of production, it was not until the 1880s that a crude form of filtration using paper leaves was introduced. A generation later, these were replaced by more sophisticated filters known as pulp cakes, that were used extensively by the beer industry for decades. Constructed from a mix of cotton and asbestos fibers, the filters proved to be very effective in the removal of microorganisms. Unknown to the industry at the time, the filters were equally effective in releasing asbestos fibers into the filtered fluid. Growing awareness of the dangers of asbestos saw Western countries phase out pulp-cake filters in favor of non-asbestos-containing filters made from kieselguhr or perlite. The United States, however, continued using the cotton and asbestos filters until the 1980s. The history of wine making is closely linked with the history of agriculture and civilization. Archaeological evidence suggests wine was first produced in Georgia and Iran, dating from 6,000 to 5,000 B.C. Practically, all major wine producing locations in Western Europe today were established during the Roman imperial era. In order to produce wine of the finest quality, it must first be filtered to remove unwanted particles. Until the 1970s, all wine producing countries favored asbestos filters over the old cellulose filters. Chrysotile asbestos fibers were used in many applications, including to filter wines, fruit juices, beers, pharmaceuticals and sugar. Industries used amphibole asbestos filters when more resistance to acids was required. During the filtering process — which typically took four months — cellar workers performed two cycles of filtration in which they manually opened bags of raw asbestos, shredded the fibers and scattered them on the surface of the wine. Once empty, the bags were casually discarded on the floor where they remained for the rest of the day. This practice further exposed workers to asbestos fibers, which were released into the air through foot traffic and sweeping. Respiratory protective equipment was not worn during the filtration process. Like it or not, we have coexisted with asbestos for centuries. It is not going to go away, but we are no longer ignorant to the danger it poses to human health. Thousands of men and women around the world, including my beloved husband Brian, have suffered and died from mesothelioma. Most were exposed to deadly asbestos long before they knew their health was in danger. We must not let their deaths be in vain. Today, the toxicity of asbestos is well known. The warnings to protect ourselves very clear. To ignore them is reckless. In this day and age, there is seemingly no end to the variety of alcohol that is available to consumers around the world. Certain imported beverages may seem exotically appealing. But consumers should be aware that beer and wine from countries where asbestos use is still legal and prevalent are likely to have been filtered through asbestos pulp-cake filters. Sampling local beer or wine while on vacation in foreign countries can seem like part of the adventure, but this too can be harmful if the country you are visiting has not banned the use of asbestos. To protect yourself from harm, never consume a drink without knowing what it is and where it came from. When this is not possible, leave it alone. It really isn’t worth the risk. ProBrewer. (n.d.). History of beer filtration. Asbestos Global. (2016, January 23). Asbestos in your beer. Asbestos Global. (n.d.). Asbestos in wine — common contaminant.